Efficiency is the lifeblood of any manufacturing company. If the processes and procedures work smoothly and efficiently, profitability is enhanced. And if they don’t, then profits may suffer. But the necessity of efficiency isn’t confined to the factory floor and to production equipment. A manufacturer’s efficiency must be comprehensive in all areas in support of production as well. And nowhere is this more evident than in calculating inventory to assess the Cost of Goods Sold (COGS). Cost of Goods Sold, also known as Cost of Sales, is a key metric in determining a company’s Gross Profit and Gross Margin. It measures only the direct costs associated with the production of goods within a manufacturing company. For accounting purposes, Cost of Goods Sold is listed under “current assets” on a balance sheet. Current assets are goods expected to be converted to cash within one year and include cash, accounts receivable, stock inventory, work in progress inventory and other liquid assets. To obtain an accurate Cost of Goods Sold, a company must have accurate control of its inventory functions. This includes the physical or automated functions for taking the inventory as well as the correct valuation of each inventory segment. Most manufacturing companies usually have three different inventory categories. Raw Materials Inventory – This includes unprocessed materials used in finished goods as well as components. Raw material costs are based on the total “landed costs” of the goods. Work in Process Inventory – This includes partially processed materials on the factory floor and in various stages of “value add”. Work in Process calculations will include labor added at each sub-processing level for material in progress. It is therefore valued higher than raw materials but less than finished goods. Finished Goods Inventory – This inventory includes all completed units ready for sale of shipment. Start with the Beginning Raw Materials Inventory value and add all raw materials purchased during the selected accounting period. Then, subtract the ending inventory value. This is the valuation of the direct materials used in production. Next, add the value of the direct labor and factory overhead. (Factory overhead will include factory expenses like rent and utilities). Then, add this sum to the direct materials from step 1. This is the Total Manufacturing Costs. Using the beginning Work in Process (WIP) inventory, subtract the ending WIP inventory value and add to the Total Manufacturing Costs in step 2. This is the Cost of Goods Manufactured (COGM). As the calculation shows, all three inventory categories are used in determining the Cost of Goods Sold and start with the beginning inventory valuation for their respective categories plus the value of direct labor and factory overhead. COGS may also be affected depending on the inventory costing method used by the company such as First in First Out (FIFO), Last in First Out (LIFO), or Average Cost Method. As companies have different levels of complexity and scale, each will have to choose the method that works best for their business. 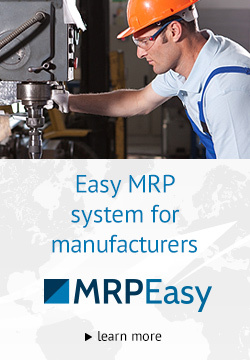 Helps to Set Profitable Pricing – In complex manufacturing systems, costing each step of production is a challenge. As a result, a wrong calculation, or series of calculations, can reduce the gap between COGS per unit and unit price. Having accurate inventory counting and adhering to a strict COGS calculation can help determine which products may be too low, or too high, and allows a company to set appropriate pricing. Proper Taxation – Since COGS is considered an expense, a larger COGS will result in a lower taxable income level. It is also important for companies who are Make to Stock (MTS) and who carry stock finished goods inventory. In this situation, the year end value of finished goods may be taxable as it is figured into your COGS. 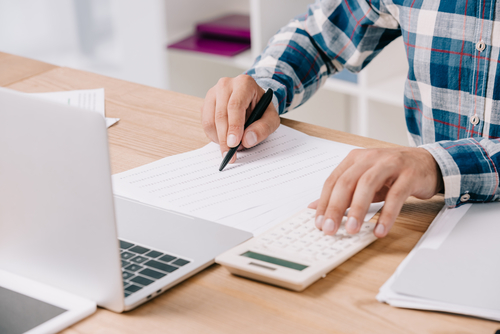 Failure to adhere to proper inventory practices could result in an over-taxation or an under-taxation, opening the company to audits and potential fines. Tracking Profitability – COGS can be tracked as a trend over longer time periods to gain insights and predictions into increasing or decreasing profitability. 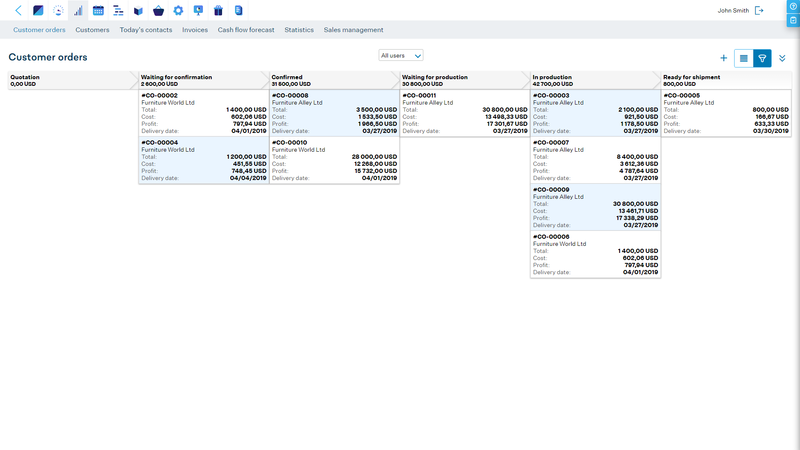 This is useful for management in making decisions on where and how to improve efficiency and improve inventory accuracy. It can also be used by in-house analysts to determine strategy for the future as well as by investors looking for upward or downward trends in overall profitability over time. Overstating discounts to customers or returns to suppliers. Overvaluing WIP or on-hand inventory. Failing to write off obsolete inventory. Regardless the type of accounting system or manufacturing tracking system used, the most important thing to remember is to use the correct calculations, account for inventory accurately, note the progression on the balance sheet in a timely manner and understand the accounting inventory method used by the company. Consistency will result in a more accurate COGS calculation and will keep companies out of dangerous territory such as over and under-valuing inventory. At the same time, many small and medium sized companies still utilize manual inventory tracking or, utilize legacy software, fragmented systems with siloed data, and PC based spreadsheets to try and derive a COGS for their enterprise. While consistency and meticulousness will help, there is a limit as to the degree of accuracy these systems can achieve. 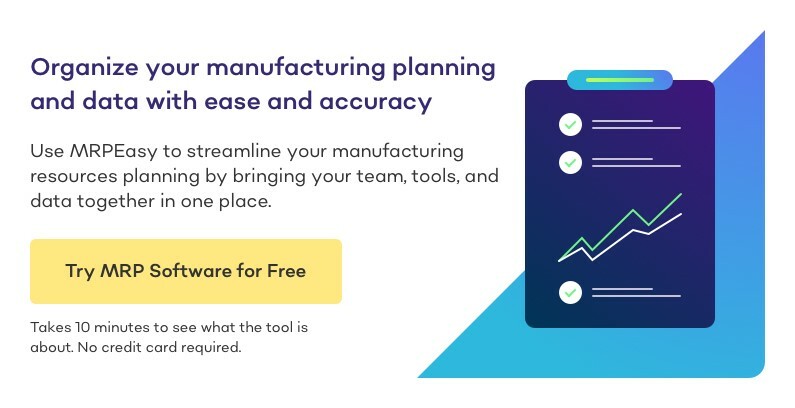 These platforms provide real time data and advanced analytics that can help improve accurate costing in areas such as WIP calculation, manufacturing overhead, and direct labor. And many have accounting software built in as a native functionality or are agile and allow integration of respected accounting software such as QuickBooks or Xero. And they are even agile enough to work seamlessly with advanced RF inventory tracking through use of scanners and other electronic equipment used to monitor, relive and track inventory at point of use. The value of an accurate COGS calculation can provide a company with insight into profitability, allow long term strategic planning, improve pricing of products and act as a guideline for taxes and investment. Whether done manually or using software, the COGS calculation should be accurate and based on real data to provide these things. You may also like Work in Process Inventory Accounting.